If you rent your home, you may be wondering what protection you have in the event of vandalism or a natural disaster. Renter’s insurance is designed to provide financial coverage for renters, since homeowner’s insurance and landlord’s insurance typically don’t cover things like a tenant’s personal property. Despite this, only 37% of renters currently have renter’s insurance. Let’s take a look at the details of renter’s insurance, and discuss why you need it if you are currently renting. Renter’s insurance is a policy that provides protection benefits to tenants who live in housing that they don’t own. It typically provides personal property coverage, liability coverage, and coverage for living expenses if the housing becomes unlivable. In the event of things like vandalism, fire, or theft, the policy will cover your eligible expenses associated with the damage. Many rental properties require tenants to have rental insurance. Homeowner’s insurance and landlord’s insurance typically don’t cover the renter’s personal property. They also rarely cover any damages caused by the tenant. This is where renter’s insurance comes in. It’s more of a protection benefit for the renter than it is for the homeowner. Should something happen, like a fire, the renter can seek to have his/her personal property replaced via the insurance policy. Otherwise, they could be up the creek without a paddle for anything damaged or destroyed. Should the renter accidentally cause damage to a nearby unit, renter’s insurance can also cover the expenses associated with fixing the housing that was damaged. Because renter’s insurance is usually inexpensive compared to other insurance policies, it’s generally a wise investment. The alternative, of course, is not having renter’s insurance… which would make you responsible for replacing all of your belongings in the event of a natural disaster. It would also make you responsible for covering 100% of your living expenses, should your housing become unlivable for any reason. With renter’s insurance, you have a sense of financial security. There are many things that can wrong with housing. Think of renter’s insurance as something that gives you peace of mind and makes it less likely for you to have to use your own money in the event of something bad happening to your housing. In general, it’s better to have insurance and not need it than to not have insurance and need it. 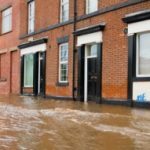 Learn More: Renter’s Insurance Doesn’t Cover Floods! Liability coverage helps protect you in the event that you are held legally responsible for the damage to another person’s property. It also covers you for injury to a person while they are in your housing. For example, if your child throws a ball through your neighbor’s window and the replacement costs $400, that’s something renter’s insurance would cover. Another example is if someone slips and falls in your home, that person’s medical bills are covered under your renter’s insurance. Coverage for living expenses helps pay for your additional housing in the event that your rental becomes unlivable. This could happen for many reasons. Let’s say a fire destroys the structure of the property. You could live in a hotel until the property is rebuilt. Renter’s insurance would help pay for that hotel bill. Renter’s insurance would also help pay for additional costs that come with living outside your rental, such as the increased cost of food. The average annual cost of renter’s insurance in the United States is $187. The cost varies by state and insurance company. It’s always best to shop around when buying any sort of insurance policy. You want to get the most coverage at an affordable price, without compromising quality of service. State Farm currently has the biggest market share in the renter’s insurance industry and is well-rated. Allstate is another large and very respected insurance company. One way to save on renter’s insurance is to pay annually instead of monthly. Many insurance companies offer a discount when you pay one lump sum each year, rather than making monthly payments towards your policy. Another way to save is to buy multiple insurance policies from the same company. Many insurance companies will offer a discount when you get both auto insurance and renter’s insurance, for example. How much personal property you decide to protect is an important consideration to make. You don’t want to overestimate the value of all your property because you’ll pay higher premiums. You also don’t want to underestimate the value of your personal property and be left to replace certain items on your own in the event of an actual disaster. Some insurance companies will also let you choose your deductible from a small range. The lower your deductible, the higher your premiums will be. While renter’s insurance helps protect you in several ways, it’s important to know what renter’s insurance doesn’t cover. Renter’s insurance generally doesn’t cover the actual building you live in — the landlord’s homeowner’s insurance is designed to protect the structure itself. 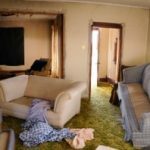 You, the tenant, are responsible for covering your personal belongings, as well as any damage that occurs to other properties or other people as a result of your negligence while living in the housing. With that being said, renter’s insurance is still worth it for all that it does cover. By providing personal property coverage, liability coverage, and coverage for living expenses in the event that your housing becomes unlivable, renter’s insurance is a good investment at generally less than $300 per year. Hurricane Insurance: Do You Need It? Are You Covered Already?